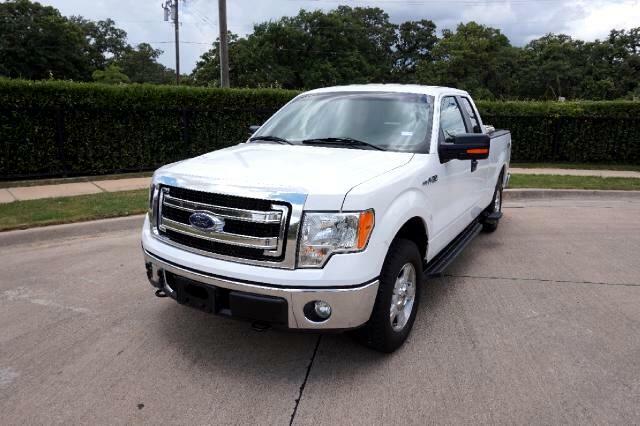 We are proud to offer you a beautiful one owner 2013 FORD F-150 XLT with 101,000 miles! This 2013 Ford F-150 is powered by a smooth and responsive 5.0L 8 cylinder engine mounted to a automatic transmission. The exterior of this Ford is finished in a glossy and smooth white color complemented by a clean and fresh gray cloth interior. This Sharp Ford comes with some nice upgrades such as: Power windows and door locks, Heated mirrors, Keyless entry, Bluetooth connectivity, Daytime running lights and much more! (see full list of options below) We have included over 30 pictures so you can judge for yourself the condition this sharp Ford is in. For your peace of mind, we remind you that extended warranties are available for this Ford. As always, we welcome third party inspections. We offer fast and easy financing programs. We welcome trade-ins. We offer free airport pick up, worldwide shipping and a full line of extended warranties from bumper to bumper coverage to power-train only. So, if you are in the market for a sporty fuel efficient car, please take a closer look at this clean 2013 Ford F-150 that is offered at a LOW BUY IT NOW and PRICED TO SELL!!! Please contact My New Used Car TODAY! by phone or e-mail today. Justin (972)221-9456 or Brent @ (817)229-6391.